Richard Swinburne Is There a God? 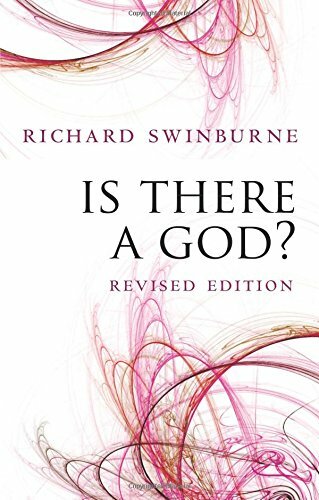 In this compelling new edition, Richard Swinburne, one of the most distinguished philosophers of religion today, argues that contrary to the claims of Richard Dawkins and others, science actually provides good grounds for belief in God. Why is there a universe at all? Why is there any life on Earth? How is it that discoverable scientific laws operate in the universe? Swinburne uses scientific reasoning to argue that the best answers to these questions are given by the existence of God. The picture of the universe that science gives us is completed by God. This updated edition features a new, stronger argument as to why theism does--and materialism does not-provide a very simple ultimate explanation of the world. And Swinburne also now examines the idea of the possible existence of many other universes, and its relevance to his arguments from the fine-tuning of our universe to the existence of God. Powerful, modern, and accessible, Is There a God? is must reading for anyone interested in an intelligent and approachable defense of the existence of God. 4. Is There a God? 6. Is There a God? 7. Is There a God? 9. Is There a God? 10. Is There a God?